Rishi had no option but to leave early that afternoon to be at the Mayor’s party. He had managed to arrange himself an entry in there through the back door. He had paid his way through the team that was providing the catering service. Once in, he changed into his tuxedo and blended in with everyone. Rishi next placed his ear pieces in nearly all corners of the party hall as possible. He even managed to slip one right into the Mayor’s pocket. Thankfully he did not realize it. He had one receiver in his ear that he could use to listen to all the ear pieces one at a time. His subject was not in yet. He knew he had to be patient. He had this urgent urge to pull out his smartphone and start playing Donkey Kong or Pacman. That was the only thing he thought that could liven up the party. But he just pulled out his smartphone to check the time and his mails. He had been waiting and dying to meet Suman. It was a double D-Day for him today. Just as he was checking his mails, a short tap on his shoulder disturbed him and pulled him back to the party. He turned around to see who it was. He was shocked out of his wits. It was Suman. She was here with the elites. After all, she was a Page 3 butterfly too. He had known it the first time he met her at the bar. She was as excited to see him as he was shocked to see her. He had half expected her here. At this point, though she was being a distraction, he could not tell that to her on the face. 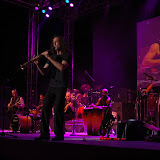 In the background, Kenny G took the centre stage and was welcomed by the Mayor. The party soon started to get interesting. He belted out his best numbers with is Sax and trumpet. Rishi’s subject walked in just then. He was impeccably dressed for the occasion. Suman buzzed into his ear that he was the most sought after socialite in the town. He was also known to be very philanthropic. Just the last week he gave away about forty – fifty lakhs at a fund raiser. Rishi now knew what the money exchange would look like. The Mayor and his subject would both mask it to look like a philanthropic activity. He needed to find a way to get through the artificial cover. He decided to scan his earpieces starting from the one in the Mayor’s pocket. He got nothing worthwhile. Next he shifted to the one he had placed at his subject’s table. Nothing here either. No choice but to scan the other earpieces when he chanced upon a private discussion. It was between the two private secretaries. He should not have forgotten this angle. The conversation was a complete give away. In the garb of Black Dog’s Kenny G performance, the Mayor was doing the only thing that he was not supposed to. But that was not his concern. He now had all the details that he wanted about the new road contract, details about how the money would be handled et al. He now had his new man. He had had an easy evening, that with living in style!